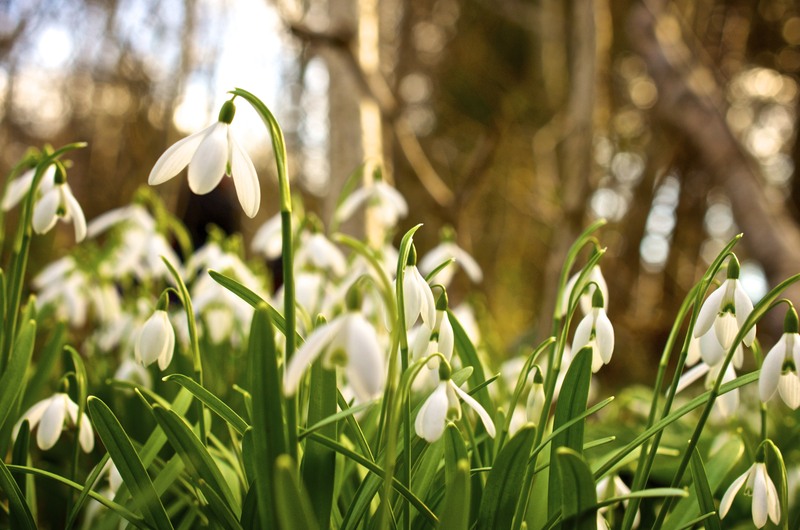 I realised a few weeks ago that it was the right time of year to see some snowdrops in all their glory. However, it was only today that we found time to take a trip to Edinburgh’s Botanic Gardens and thankfully we hadn’t missed them. These clusters were in a fairly covered woodland area in the gardens, so the light wasn’t great despite the sunshine occasionally appearing from behind the clouds. A few tweaks in Aperture have, however, quickly brightened up the photos. 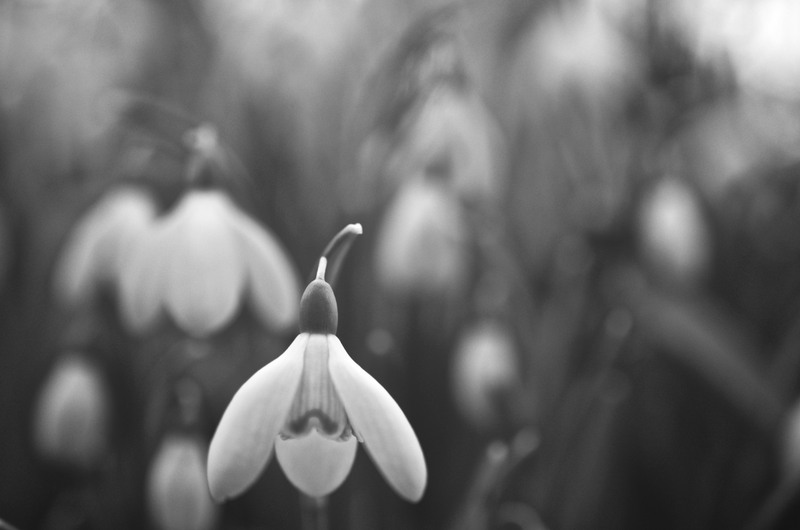 As I was having a play in Aperture, I set one of the images to black & white. 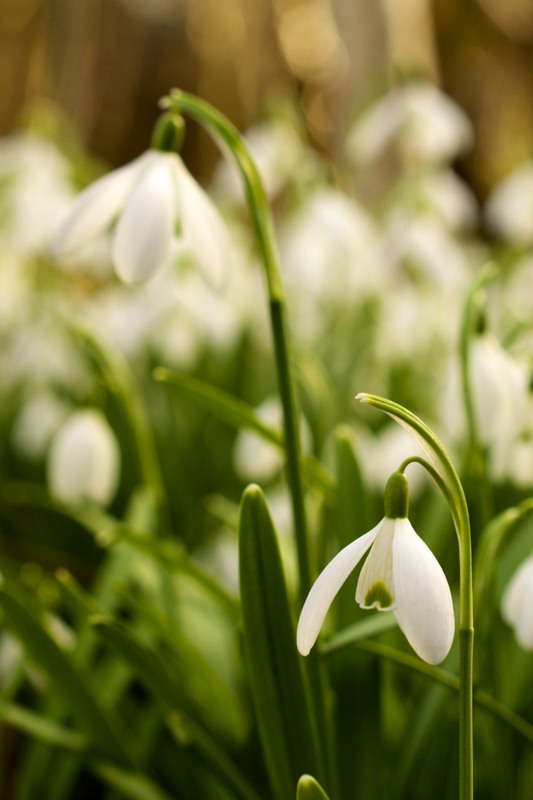 I know the joy of snowdrops is usually their beautiful, bold whiteness against the green surround, but there is something that appeals to me in this last photo.